Now that online dating is commonplace, plenty of us are making dates with virtual strangers. We might be sitting across the table from someone we know only as a Tinder profile, so while taking a chance on love is great, it’s important to do so safely. 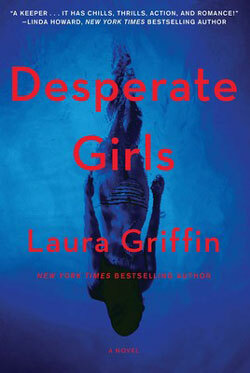 Author Laura Griffin knows a lot about both romance and security, since she’s the author of 17 novels of romantic suspense—including her newest one, DESPERATE GIRLS. We asked Laura for some tips about what to ask your blind date so you both have a great evening. Blind dates can be nerve-racking, fun, or panic-inducing, depending on your perspective. Before you get too caught up in selecting the perfect outfit, it’s best to think about safety. After all, you’re planning to spend several hours of your life with a person you’ve never laid eyes on. Taking a few simple precautions before and during the big date will help you to relax and get the most out of this chance to make a connection. Do your homework. A quick Google search of your date’s name (you know his full name, right? ), plus a glance at a few social media profiles, can tell you the basics. You might also stumble across a mutual friend who can give you some background info. Make it a meet up. Your parents warned you never to take a ride from strangers, and that rule definitely applies to your blind date. Having your own transportation also makes it easier for you to bail out if the date goes sideways. Keep it public. Another commonsense precaution is to go somewhere public for that first date and let a friend know where you plan to be. You don’t want to find yourself in an uncomfortable situation with no exit strategy. Now that you’ve done your online snooping and decided what to wear, the trick is to make the most of your time together. You want don’t want to conduct an interrogation, but you do want to learn key information and get a feel for whether you have a connection with this person. Here are some easy conversation starters that can reveal a lot. How did you choose this place? You may get an interesting story, and the answer will tell you how much (or how little) effort your date put into planning your first outing together. If you picked the place, you can flip the question around and ask what your date thinks of it. Tell me about your friends. Some people like to ask about family on a first date, but keep in mind that people don’t get to choose their relatives, whereas friendships reflect a person’s values and lifestyle. As you listen to the answer, realize that if the relationship takes off, you may be spending some time with these people. Does that sound like fun or a nightmare? What do you like to do on weekends? If your date says, “I don’t have much free time on weekends” that tells you about his availability for a serious relationship. This question also helps you learn whether your interests overlap. Are you both outdoorsy? Movie buffs? Love to try new restaurants? You may also glean some helpful information to use for planning a second date. Where is home? This question is a subtle way to get a glimpse into your date’s childhood / background without sounding intrusive. You may also pick up information about your date’s relationship with his parents, siblings, and childhood friends. If your date is estranged from his family, or reluctant to give up any details, you may want to suss out why. No matter what questions you ask, be sure to listen to the answers—and that includes body language. Our brains are wired to pick up on all sorts of cues, both obvious and subtle, that tell you whether this person in your midst is a green light or a big red stop sign. Don’t ignore your instincts! If your gut is telling you that your date is selfish, creepy, self-absorbed, hot-tempered, then do yourself a favor and listen to that warning. On the other hand, if you overcome your first-date jitters and give the date a chance, you may be surprised to find an unexpected connection. Read More: How do you know when you’ve found The One? Discover 32 signs you have a future together (and 24 signs you don’t). Defense attorney Brynn Holloran is right at home among cops, criminals, and tough-as-nails prosecutors. With her sharp wit and pointed words, she has a tendency to intimidate, and she likes it that way. She’s a force to be reckoned with in the courtroom, but in her personal life, she’s a mess. When a vicious murderer she once helped prosecute resurfaces and starts a killing spree to wipeout those who put him behind bars, one thing becomes clear: Brynn needs to run for her life. When the police come up empty-handed, Brynn turns to a private security firm for protection. But when she defies advice and gets involved in the investigation, even the former Secret Service agent assigned to protect her may not be able to keep her safe. 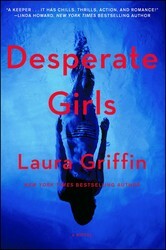 With every new clue she discovers, Brynn is pulled back into the vortex of a disturbing case from her past. As the clock ticks down on a manhunt, Brynn’s desperate search for the truth unearths long-buried secrets and reignites a killer’s fury.